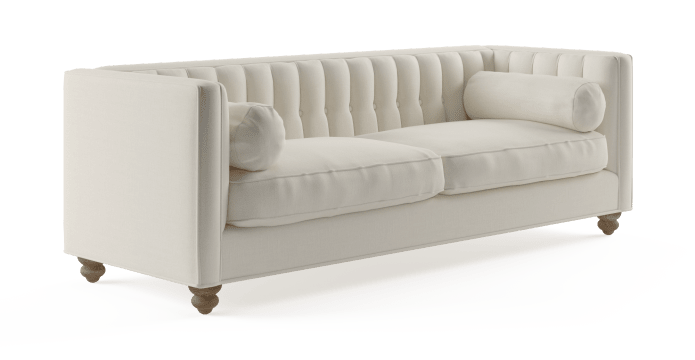 Delightfully retro and refined, the Camilla 3 Seater Sofa will have you lounging in both comfort and style. 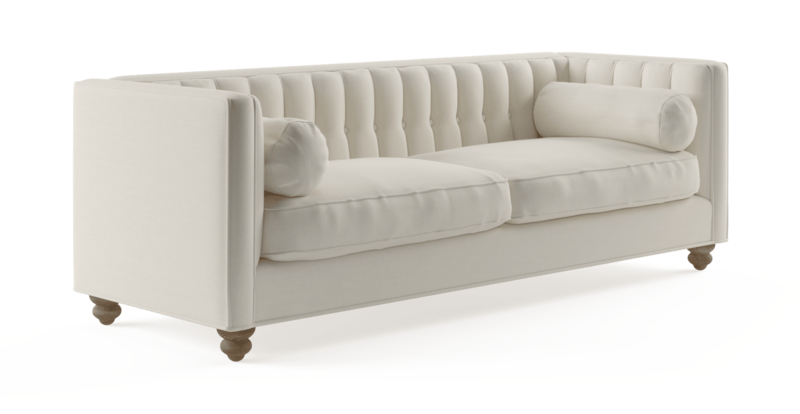 Featuring a distinct silhouette and accented by elegant tufting, this is a classic designer piece. 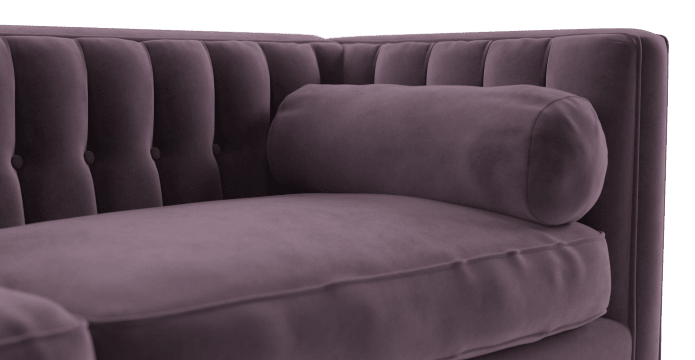 The Camilla comes upholstered in sumptuous velvet or Brosa's Signature premium fabric, available in a range of rich hues or classic neutrals. See more designer sofa collections on offer from Brosa here. 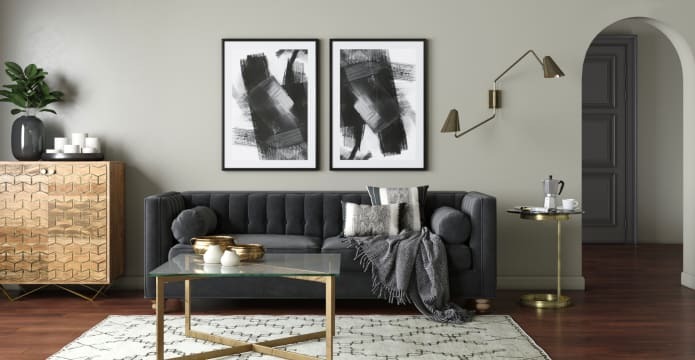 The Camilla 3 Seater has subtle designer details that add to the look of the piece, including dark brown legs, tapered from solid Beech wood. To complete your sofa set, see also the Camilla Armchair. 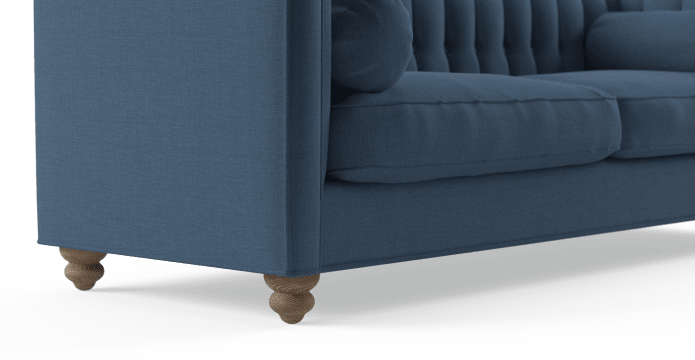 Two cylindrical cushions come with the sofa and give added comfort as well as style. 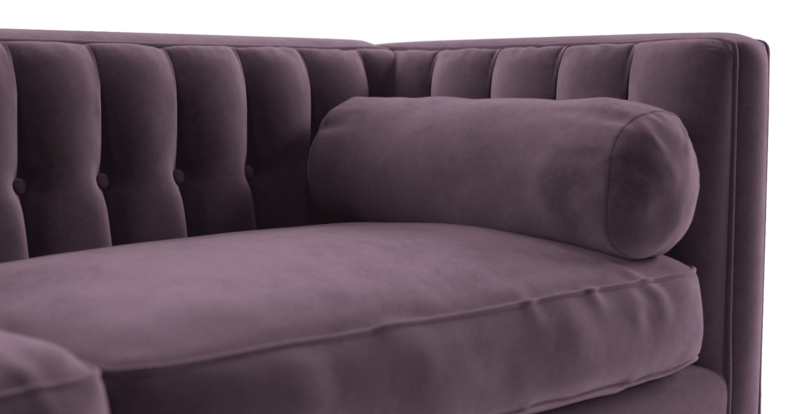 The sofa has been filled with a plush medium density foam filling for the perfect seat. Stunning sofa! Well built, high quality at a great price! Very happy with my purchase and the overall experience with Brosa. Will be back for future purchases! 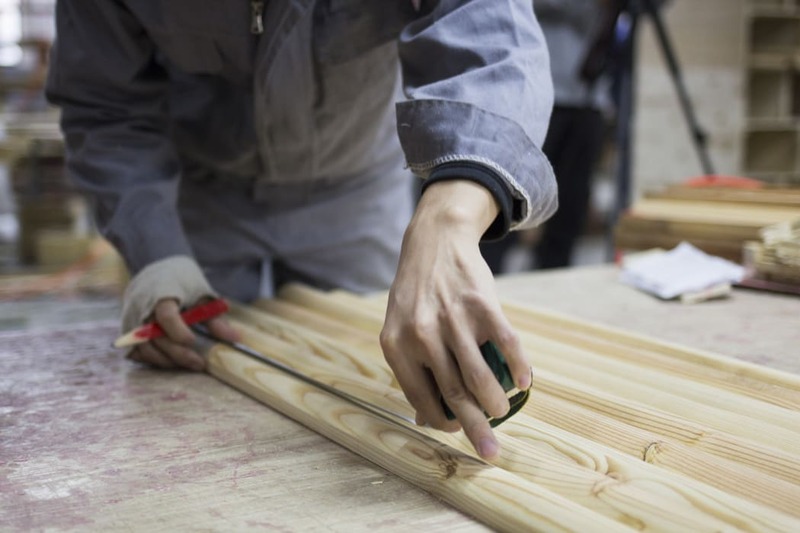 We have purchased a number of furniture items and not being exactly familiar with on line buying we have been given excellent advice from the customer service people, especially Alex. 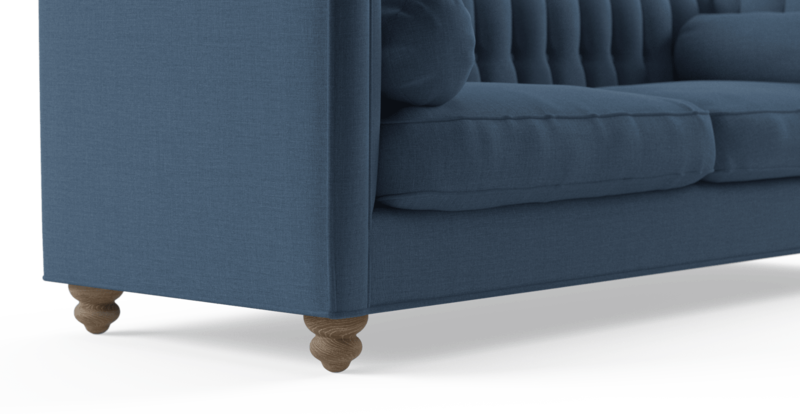 See, touch and feel our fabrics used on our Camilla 3 Seater Sofa. For Free! Simply select up to 3 fabrics and add them to your cart. Delivery is on us.